We know that payment history and amount of debt are the two biggest factors that affect our credit scores. Have you ever wondered what the specific impact on your FICO score would be if you made a late credit card payment? Or just how many points will you lose if you max out your credit card? 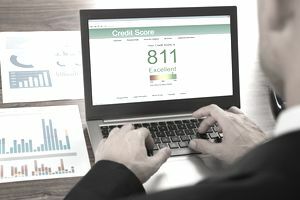 For years, consumers have had little (free) knowledge about how these and other negative actions would affect their credit scores. Thanks to FICO's Credit Problem Comparison, we know a little more about how many points will be lost from some of the most common mistakes. To illustrate the lost points, FICO gives us two hypothetical credit scenarios, one of someone with a 680 FICO score and another of someone with a 780 FICO score. FICO then tells us how many FICO points each person would lose if they made any of five credit mistakes. Maxing out a credit card, the person with the 680 credit score would lose between 10 and 30 points, while the person with 780 credit score would lose between 25 to 45 points. Missing one credit card payment (a 30-day late), the person with 680 credit score would lose between 60 and 80 points, while the person with the 780 credit score would lose between 90 and 110 points. Debt settlement, the person with 680 credit score would lose between 45 and 65 points while the person with the 780 credit score would lose between 140 and 160 points. Foreclosure, the person with 680 credit score would lose between 85 and 105 points, while the person with 780 credit score would lose between 140 and 160 points. Bankruptcy, the person with 680 credit score would lose between 130 and 150 points, while the person with 780 credit score would lose between 220 and 240 points. The higher your credit score the more points it can fall. You’ll lose more points than someone with a lower credit score for the same actions. Of the five mistakes listed above, maxing out your credit card has the least impact on your credit score. That doesn’t mean it’s the least costly mistake of all. Bankruptcy hurts your credit score the most since it affects several credit accounts and reflects negatively on your payment history, which is 35% of your FICO score. Take this information with a grain of salt. The FICO score calculation is too complex to give a specific point loss (or gain) value to all credit scenarios. The amount of points you lose for a credit mistake is based on your specific credit profile and will mimic these point losses only if your credit profile is exactly the same as ones described above. Even if you have the same FICO score as one of these scenarios that doesn’t mean your FICO score will respond the same to credit mistakes. That's because your FICO score movement depends on the information on your credit report. If you want to get a better idea of how certain actions will affect your FICO score, you can use the FICO simulator available from myFICO.com when you purchase your FICO score.